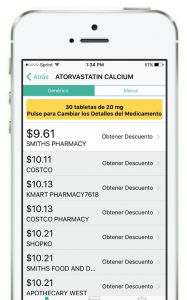 Could Prescription Discount Programs Drive Further Hispanic Patient Engagement? Prescription Discount Programs are an alternative way for many uninsured or under-insured Americans to get lower cost prescription drugs. Many of these discount programs are just a few years old, but the potential to reach a large Hispanic audience is likely going to be a growth strategy. Hispanics contributed $23 billion from 2013-2014 to the U.S. pharmaceutical market with plenty of room for growth. In this post, we’ll look at these programs, what role they might play in the growing Hispanic Health Population and how they might even play a role in driving Hispanic Patient Engagement. Prescription Discount Cards are offered with many Pharmacy Benefit Managers (PBMs), but new startups or disruptors in this space, such as Blink Health or GoodRx, now offer easy prescription discounts via the web or via apps. This technology disruption is an opportunity for many of these companies to get into the game of a growing trend of Hispanic spending in the pharmaceutical market. And the gap for entry into digital health with Hispanics particularly has narrowed. A study by Pew Research Center discovered that more than 80 percent of U.S. Hispanics own a cell phone. Hispanics are more likely mobile dependent, meaning that their online access is more often restricted to mobile devices, rather than broadband access at home. Despite efforts to get more Hispanics to sign up, many still face financial struggles to make the ACA work for them. On top of that, medication adherence is a continuing problem for many Americans. A study in 2010 on barriers to medication adherence among the Latino populations shows communication and logistics as the main reasons, although a large population was unable to identify barriers. Many chronic care patients feel that the medication is useful to them, but cited that they were unclear when prescriptions were ready for pickup or couldn’t get to pharmacies because of limited hours of operation. Other studies also highlight that Hispanics are typically less eager to find out more information about their chronic condition and are less likely to seek out care by a doctor. Doctors and personal interaction is an important source of information for Hispanics. Hispanic patients still tend to prefer direct contact with professionals who can communicate in their language to educate them on healthcare coverage and drug adherence before they look for information from other resources. However, a study funded by Google found out that Hispanics tend to respond better to online informational search and digital ads than non-Hispanics. Prescription Discount Programs have an opportunity here as they are in a unique position where they have something to offer that is of value to many Americans whose healthcare coverage is lacking certain pharmacy benefits and those who need medications for chronic care. One key strategy cited in a study that identified Hispanics among a high percentage of mobile users, is to use online tools to help set reminders for refills of prescriptions. Although these programs need to be very careful with privacy challenges in collecting patient data (topic of an upcoming webinar hosted by MM&M Online), Prescription discount apps connect with patient at the point of transaction and could play a big role in enabling them to manage their prescriptions better. 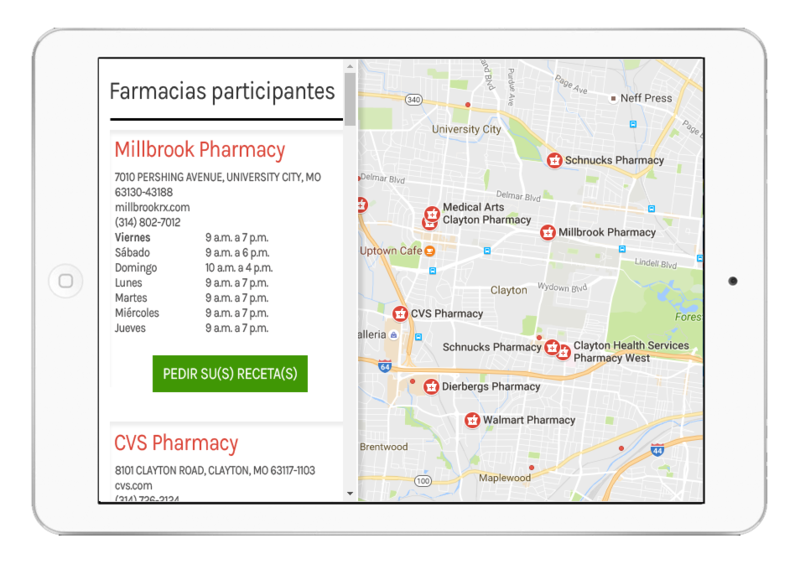 Location services on available pharmacies can help consumers be more aware of the choices they have in their neighborhood. MediBajo, an app for Hispanics, does just this. As we are still in the early stages of maturity for this industry, we see a lot of programs strictly offering lower cost prescriptions. The sites are well informed about the prescriptions, side effects and drug facts, but don’t offer other information about disease management. Both PBM organizations and Prescription Discount Programs (sometimes they are the same) could use patient data and tap into educational materials often offered by Pharmaceutical manufacturers to drive engagement on education for disease states like Diabetes or Obesity, the two most prevalent chronic conditions among Hispanics. As we work in the field of pharmaceutical Patient Engagement with clients like Novo Nordisk and Gilead and the translation of health information, we see that the education delivers the best results when it happens at the doctor’s office. We’ve written before about the challenges of patient education with big Pharma and the challenges to deliver this engagement online and in an authentic way in other languages. Here is another opportunity for Patient Discount Programs. The Hispanic market may be an ideal growth opportunity for Prescription Discount Programs. There is quite a lot of research that says that delivering both culturally relevant and bilingual communications are driving success factors in reaching Hispanics online as the Hispanics that spend most of the time online tend to find information in both English and Spanish. Cultural relevant information needs to address the whole family need, specifically toward the health disparities that different Hispanic groups have in managing chronic conditions and the risks. ACCESS TO NEW MARKETS – At early stages of maturity, translating your marketing materials, app and online site should be part of the growth strategy, however, translating medication lists and pharmaceutical information may not be a good investment. Formularies tend to change too often and would be a disproportionate investment that includes the bilingual Hispanic population that deals with English. CONTINUING PATIENT EDUCATION – For early engagement, it may be best to invest in bilingual patient facing information (English on one side gives the information credibility and Spanish provides comprehension) at doctor’s offices or pharmacies to get Hispanics familiar with the benefits of the program, however these programs may be ideally positioned to drive long-term engagement, using digital tools such as reminders and patient education. HEALTH LITERACY – Let’s not forget that Health Literacy is still a challenge for many Americans. Health Literacy and Plain Language strategies are not just strategies for low literacy populations, but are proven strategies that can help the entire healthcare population to better understand consumer facing information. Pharmacy Discount Programs that communicate most of their information in English should look at ways to make the information more accessible and understandable, which in turn can help drive further engagement. The goal here is to provide relevant information in Spanish as well as well written English content to serve a growing bilingual health population. We specialize in healthcare translations and Plain Language/Health Literacy for English content. 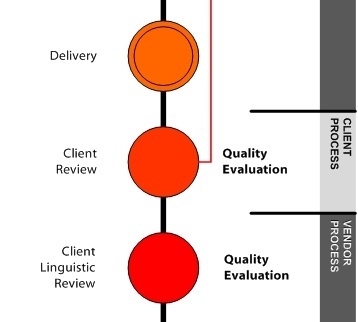 We work with our clients to help them build a business case for the strategy behind their investments into translation so that they may get the budget support they need. See an idea here that peaks your interest? Want to speak further about this opportunity? We’re here to brainstorm along with you so give us a call.